Ideal for 2 people (possible 3 people), rental? An apartment of 70 m2 located in a dream farmhouse, built in the middle of 14 hectares of pine forests. vineyards. Construction of the eighteenth century, isolated from urban bustle. Haven of tranquility for those who wish to holiday in all serenity in a wooded area. In summer, cicadas are waiting for you. Distances: 15 minutes from downtown Montpellier (tramway nearby). Guided tours of the architectural heritage museum and theaters. Night Life on the Place de la Comédie. 20mn from beaches and rivers and villages of the Haut Languedoc. Wellness Spa / Jacuzzi area. Near Montpellier - independent studio furnished comfort, in property 8 km from tram line1 leading directly to hospitals, universities, center of Montpellier. Ideal nature lover. Bed / 140 cm, upscale bedding, equipped kitchenette, dishes, TV, WiFi, table, wardrobe, large shower room, toilet, washing machine, air conditioning. Linens provided. Large covered terrace, furnished, private garden. Parking in the garden + independent gate. Pool in summer to share with owner. Shops at 3 km. Non-smoking. Small pets accepted according to conditions. Electricity in addition 0,16 € / kwh. Deposit 250 € + resort liability insurance. 28 m² high ceiling, lots of charm, stone wall. Equipped kitchen, a bright main room with French windows giving on garden of curé raised. Covered terrace equipped with swing. A bathroom with a walk-in shower in an old wine cellar. Ideal for a relaxing stay in a relaxing and typical. Hiking in scrubland, mountain biking, water sports nearby. It is a beautiful character villa on the hills of Saint-Gély-du-Fesc, for 8 persons. Saint-Gély-du-Fesc is a small village located 8 km north of Montpellier, between the Pic Saint Loup and Mediterranean (30 minutes from the beach and 15 minutes from the gorges of Hérault). The villa is very quiet, it is located at a dead end. It has a beautiful swimming pool of 8 x 4 m and several terraces. We are located 15 kilometers from Montpellier and 15 kilometers from Sète, in a southern village. We offer a beautiful modern and functional room with terrace. You have a bed 140; sheets and linens are provided, as well as towels and beach. In the room, there is a spacious shower and a bathroom with toilet, access to broadband and wifi, a big screen TV and DVD player for your comfort. The room is equipped with air conditioning. At your disposal, there is a personal refrigerator, coffee maker and crockery; otherwise the open kitchen allows you to cook your meals. The pool is open access. Ideal for 3 people or couple with 2 children, independent in quiet street in the hills 5 minutes walk from the village center. Large bay window overlooking rooftops of Aniane and valley. Sunset bayfront. Free parking outside your door, private terrace, shaded and flowery garden. Large living room with sofa / bed comfortable for 2 persons, fully equipped kitchen. Mezzanine bedroom wood with 1 bed 140 and 1 bed 90, secretary, wardrobe. Air conditioning, heating, TV, free wifi. Located 15 km from the sea, 15 km from the city of Montpellier, 15 km from the port of Sète, 30 km from Saint-Guilhem-le-Desert and 1 hour from the high townships. Equipped with a room for 2 people (possibility of an extra folding bed), a bathroom with shower and toilet. Fully equipped kitchen, air conditioning, TV available. The outdoor spaces are quiet and relaxing. Private parking available. Breakfast on request in addition 9 € per person. Homestay in a pleasant setting Close to thermal baths of balaruc les bains -, 15 KM from the sea, -15 KM of the city of Montpellier, -20 KM from the port of Sète, -30 KM of Saint-Guilhem-the-Desert, And at 1 am from the upper cantons. Room equipped with shower and washbasin, TV, large closet, toilet just beside the room. The house is located 3 km from the village, in the quiet, in the garrigue. With private parking, kitchen, living room, terrace, and toilet to share. We can offer you a breakfast (extra charge) and a meal to be shared with the owners (extra charge). Studio any comfort, in peace, on the 1st floor of a villa, with sight on swimming pool. Comprising a kitchen, a room of water with TOILET, a living room, an entrance with dressing. 10 minutes from Montpellier, 25 minutes from the sea, 15 minutes from Saint-Loup peak and a river and 10 minutes from the universities. Attention rented until the end of May 2018. Couple in their fifties, good education and good lifestyle, an epicurean loving to share and receive, passionate about travel and hiking in our beautiful area, mushrooms in season. Combaillaux offers a room of 15 m² with dressing room and ensuite bathroom with shower and bathtub in a house of 146 m² all comfort in the middle of nature with garden, swimming pool pool, cover and barbecue, and only 10 minutes from Montpellier. Proposes to a person of the same profile. From T2 Ground Floor With Pool Access. Equipped, close to public transport, all charges included. Nice room of 12 m ² of surface, in a house located in the north-west of Montpellier. In a quiet area of ​​the hills of Massane, near a lake of garrigues and tennis courts. Close to public transport. We share the kitchen and the bathroom. A security deposit will be requested. Village house for rent a few kilometers from the bustle of Montpellier in a quiet village. Still, you get to the beach in about twenty minutes, the gorges of the Hérault Salagou and a half hour. The neighborhood is quiet. You'll be woken by birdsong and you can go hiking in the vineyards of Murviel. In short, rest. Far from light pollution ... 20 minutes from Montpellier, on a hill that dominates the middle of the woods, the Astronomical Observatory of Aniane offers now, sleeping under the stars in an unusual and atypical accommodation in BUBBLES TRANSPARENT. Each bubble has its theme and creates unique and individually decorated by an interior decorator designeuse "Atelier 76". For your luxury, you can rent a double bubble (with a private SPA, solar shower and mattress shape memory). For convenience, an astronomical shop, playful and educational trail on the Astronomical Observatory and massages. ASTRONOMICAL ENTRIES INCLUDED IN THE PARK. I rent separate rooms, an ecological villa, calm and sunny. We are located in Grabels, a pretty village northwest of Montpellier a 5-minute drive from the tram (Euromédicine or Occitan) and 10 minutes of faculties and the gateway to the hinterland (Hérault gorges, Lake Salagou ...). We are 10 minutes walk from the village. There is a table in the lobby with coffee available and a table outside for breakfast, but there is no kitchen or cooking facilities. Shower room and separate WC and common to both rooms. House located near Montpellier. Subdivision. Bus distributing the tram to Montpellier. Close to Montpellier, between sea and scrubland in the heart of a village, a villa on one level, mezzanine, on ground fenced 650 m², facing south, with an area of ​​115 sqm. private pool (8 x 4 m) with alarm. The tram is just 2 km. The house is 15 km from the seaside resorts of Carnon and Palavas and 18 km from the Pic Saint-Loup. I propose a room for the stay of a person or couple for one or two weeks. For rent: One bedroom furnished with double bed, TV and cabinets. Equipped with bathroom and toilet. In a quiet neighborhood, in the street bus, tram 2 kilometers. Villa with garden, quiet, including a room for rent for a lady preference for short stay. Desideri trovare una locazione a Montarnaud ? Montarnaud è un'affascinante città situata in Francia. Con Roomlala, gli abitanti Montarnaud sono felici di accoglierti, poco importa la ragione della tua locazione (turismo, viaggio, lavoro, stage, studi, ecc.). Il sito è a tua disposizione per aiutarti a trovare una locazione arredata a Montarnaud o una camera presso l'abitante a Montarnaud. Quale é la differenza? Affittando una camera presso l'abitante, affitti principalmente una staza, nell'alloggio di un abitante di Montarnaud. Trovare una locazione arredata a Montarnaud equivale ad affittare un monolocale, un appartamento o una casa in cui il proprietario non vive. In entrambi i casi, le locazioni offrono servizi obbligatori. Grazie a Roomlala, puoi trovare un coinquilino o dei coinquilini a Montarnaud. Se hai già trovato un alloggio (casa, appartamento), puoi semplicemente publicare un annuncio gratuito per cercare i tuoi futuri coinquilini. Se non hai ancora un alloggio o dei coinquilini, puoi trovare una coabitazione a Montarnaud, nel quartiere che più Montarnaud ti piace, per brevi o lunghi periodi (camera in affitto al mese, all'anno). 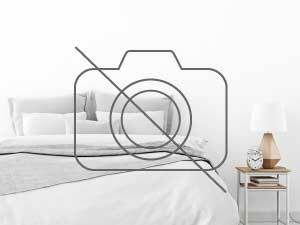 Per i brevi soggiorni, la nostra piattaforma vi permette ugualmente di cercare una camera presso l'abitante a Montarnaud o un Bed and Breakfast (camera a notte) a Montarnaud, in prossimità di luoghi turistici di Montarnaud. In occasione di un alloggio per le vacanze a Montarnaud, puoi visitare i luoghi caratteristici e passeggiare per la città. Un'altra possibilità: cerchi un alloggio in cambio di servizi a Montarnaud ? Roomlala ti propone annunci di locazioni in cambio di servizi come babysitter, aiutare le persone anziane, sostegno scolastico, assistenza a domicilio, alloggio intergenerazionale, aiuto studenti, portiere, soggiorno au pair, ecc.